Small, Intimate, and Exclusive or a Large Glittering Affair! 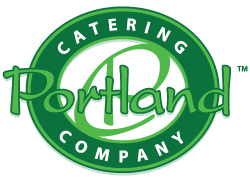 A private business dinner or intimate engagement party requires its own special attention and this is where our Portland Event Catering services can be of help. Portland Catering Company’s professional staff respects the importance of the occasion and creates an environment – from the location setting to the place setting – that is as sophisticated and stylish as it is appropriate. We attend to every detail. So whether it’s for business or pleasure, we invite you to enjoy the moment and the company of your guests. After all, that’s why you’re there in the first place.